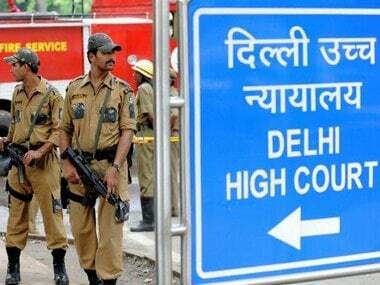 Shocked by the alleged disclosure of the identity of paramilitary personnel operating in sensitive areas and their family by a television channel, the Delhi High Court on Wednesday directed the Centre to examine the matter and ensure safeguards before the telecast. 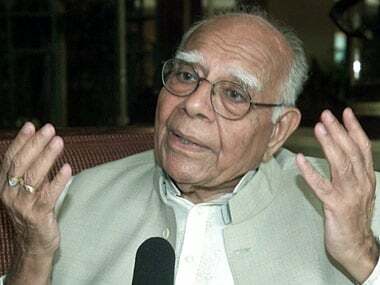 Ram Jethmalani assured the ex-servicemen demanding "complete implementation" of 'One Rank One Pension' that he will lead their legal battle in the SC. 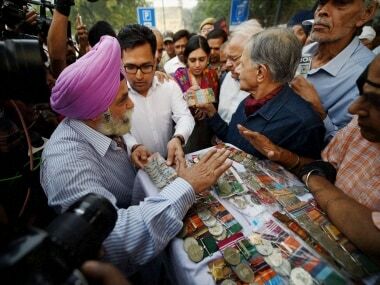 Questioning the recent arrest of a 75-year-old veteran by Gurgaon Police in a cheating case, a group of protesting ex-servicemen on Sunday vowed to continue their campaign on 'One Rank one Pension' scheme and said they will not be cowed down by the "vendetta action". 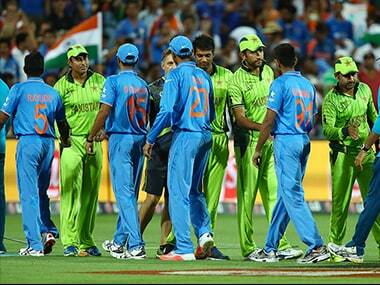 Himachal Pradesh's Ex-servicemen League has strongly opposed the hosting of T20 World Cup match between India and Pakistan at Dharamsala on March 19 and asked the BCCI to reconsider its decision, keeping in view the sentiments of families of the martyrs. 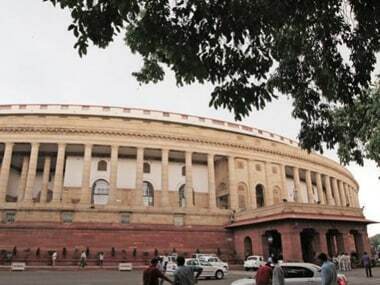 The annual expenditure on the 'One Rank One Pension' (OROP) scheme has been estimated at around Rs.7,500 crore, the defence ministry said in a statement. 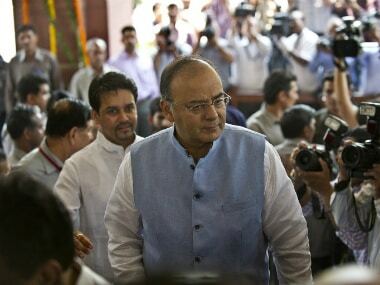 Ex-servicemen seeking changes in the government's OROP scheme on Sunday staged a protest outside the official residence of Finance Minister Arun Jaitley. 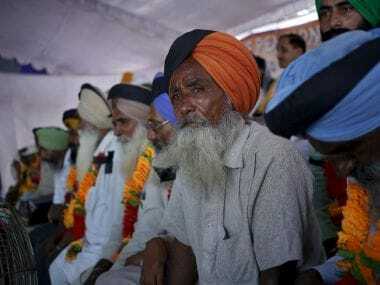 Retired personnel of various paramilitary forces of the country declared they will intensify their protests in support of their demands of getting the OROP. 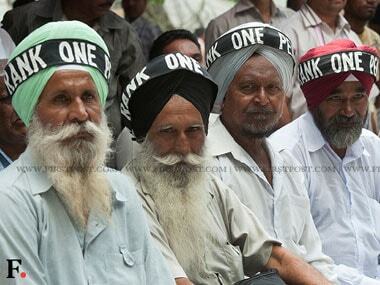 Ex-servicemen agitating on the 'One Rank One Pension' (OROP) issue rejected on Monday the single-member committee announced by the government. 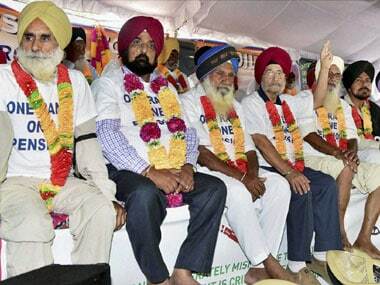 Over 2,000 ex-servicemen protesting against the government's "diluted" one-pension-one rank (OROP) scheme on Tuesday returned their medals in Delhi, Haryana and Punjab, the organizations spearheading the movement claimed today as they hit back at Defence Minister Manohar Parrikar for his "unlike soldiers behaviour" remark aimed at them.